These words will lead Mass each Sunday during Advent as we begin a new liturgical year for the Church. Advent is a time to prepare the way for the Lord, especially our hearts and minds. Leading up to the celebration of Christmas, there are a number of events at Corpus Christi and in our deanery during the next few weeks that will help you do just that. We invite you to mark your calendar and join us. 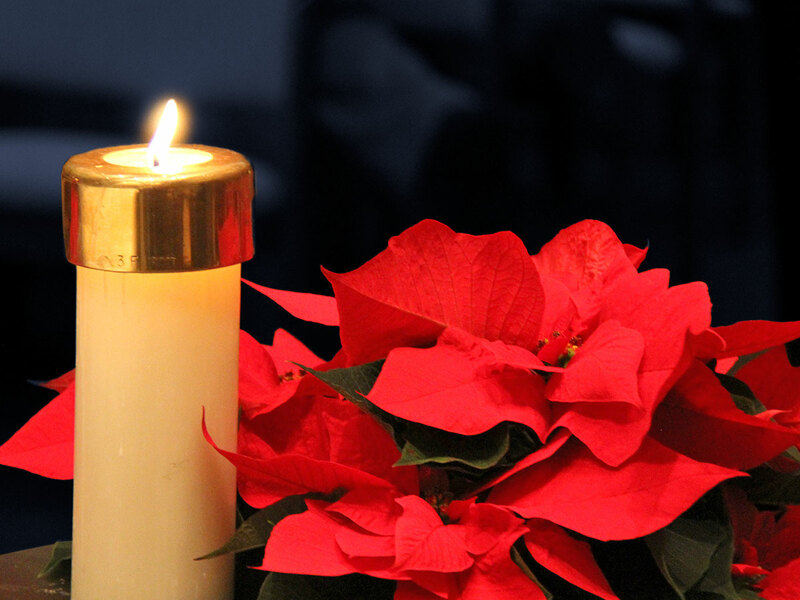 Pre-Christmas Candlelight Mass, 8 p.m.
Father Jeremy will be hosting an evening of prayer, music, and reflection at Corpus Christi for Permanent Community members on Thursday, Dec. 6th from 6 to 8 p.m.
Desserts and Advent/Christmas-themed, alcoholic drinks will be provided. RSVP to bfournier@ccup.org by Dec. 4th. This is a Holy Day of Obligation. Please join us! Sunday, Dec. 9th at 8 p.m. with prelude music beginning at 7:30 p.m. (There will be no 6 p.m. Mass.) Learn more. Monday, Dec. 10th for UT Students. 10 p.m.-midnight. Free pancakes to get you through a night of studying! There will be several priests from our deanery who will be at Corpus Christi to listen to confessions on Dec. 16th from 3 to 5 p.m.
Watch this space for updates as the season continues and be sure to check our calendar for a complete list of events.